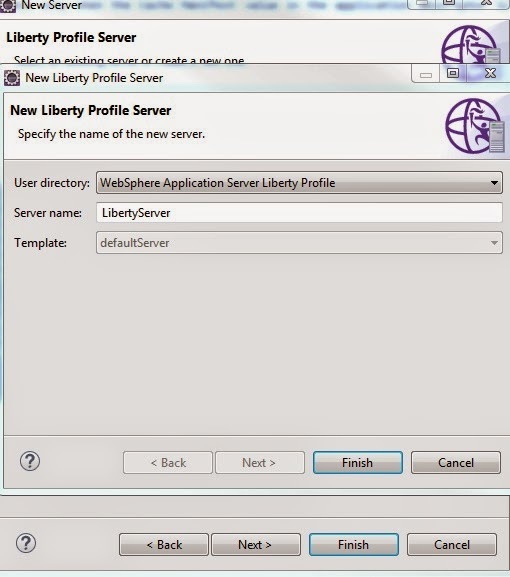 Liberty profile saves hours of development time for WebSphere developers with its simplicity and configurable modules architecture. 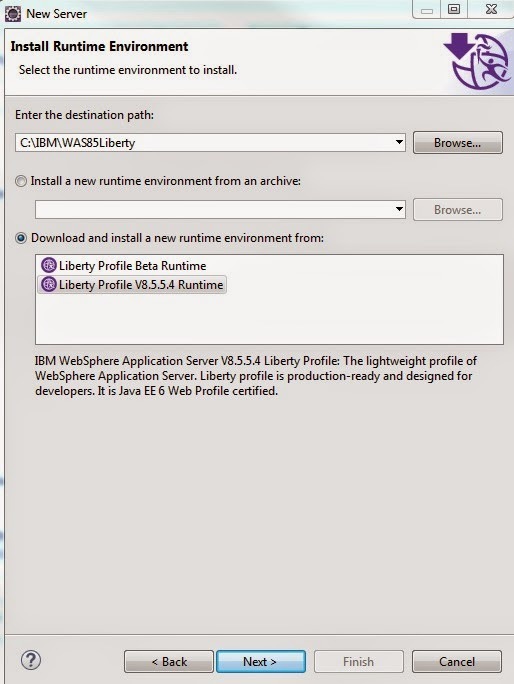 Especially when working with WebSphere Application Server where it includes so many integration components (ofcourse they are so useful at enterprise level) and it may take longer times to publish changes or to restart the server. 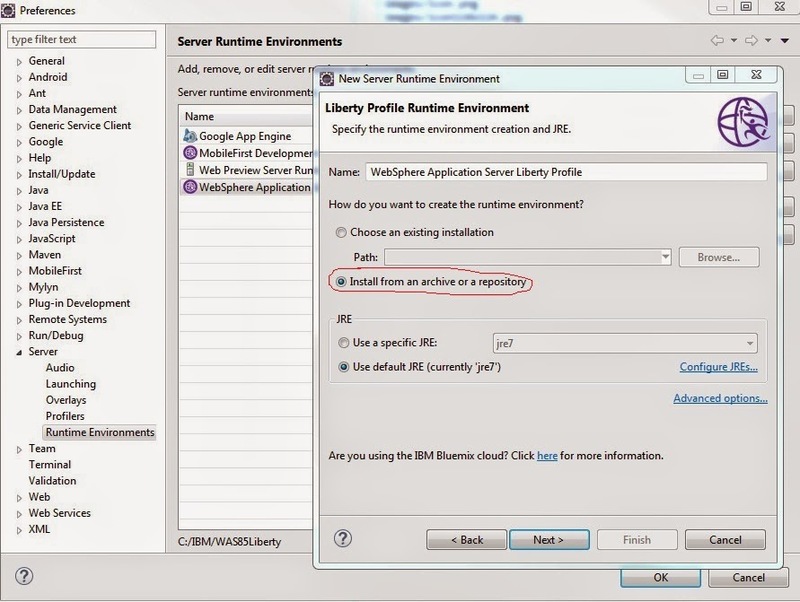 But modularized architecture (configurable features) of liberty profile make these changes almost instantly. 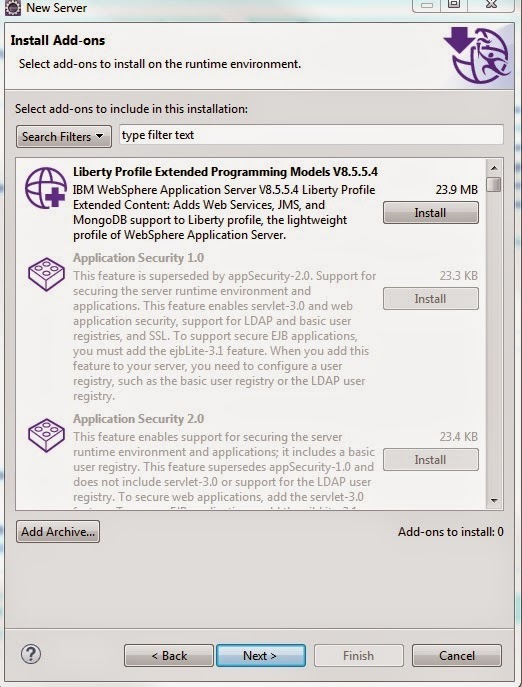 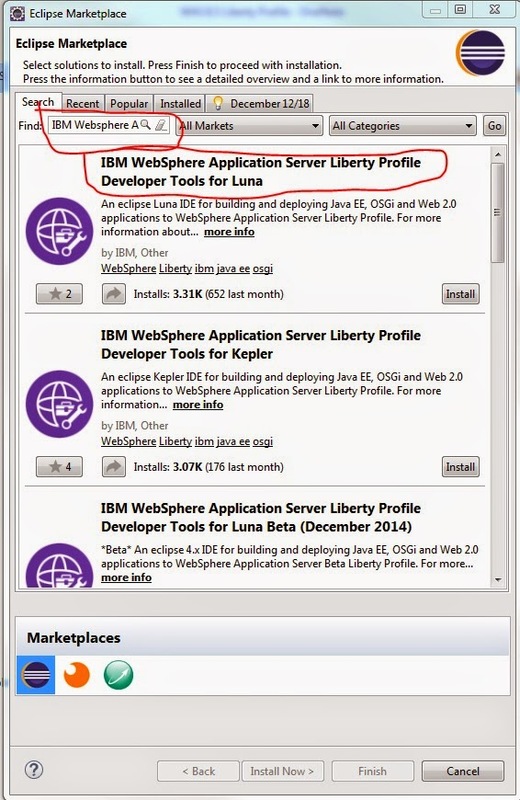 Enter the following in search box "IBM Websphere Application Server Liberty Profile Developer Tools"
Select download and install a new runtime environment from and provide the installation directory. 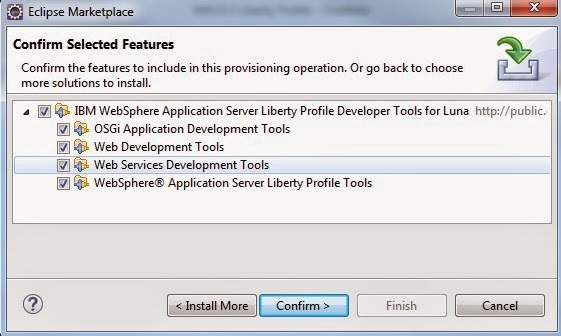 You can deploy the applications different way just like tomcat, I mostly either drop the war/ear file in liberty profile dropins folder or add project direct from the eclipse. 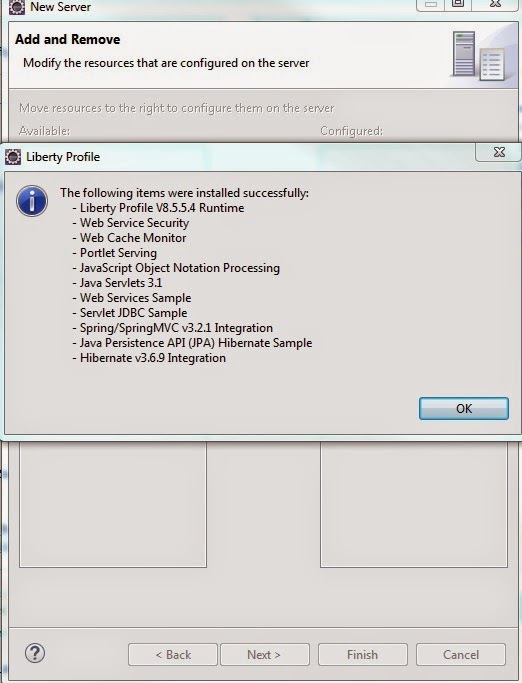 You can find the dropin folder in liberty installation.